Women who get Zika might not have fetuses at risk for microcephaly. How Scary Is Zika for Pregnant Women? It’s a lot less frightening when you know the facts. Occasionally, doctors can identify microcephaly prior to 22 weeks using only ultrasound. It’s straight out of a horror movie: A mystery virus spreads through the Americas, causing serious birth defects in babies born to infected women. There’s good reason to fear Zika when it tells a story like that—especially if you’re a pregnant woman or you’re planning to conceive soon. But before you go into hysterics, keep a few things in mind. First, there are so many unknowns right now about Zika that we really can’t be certain of much, including whether it actually causes birth defects. Second, although the outbreaks in Latin America are really bad, the virus will probably not cause a large outbreak in the U.S. anytime soon. But, worst-case scenario, even if Zika does cause birth defects and you find yourself potentially exposed while pregnant, let me point out one more thing: Exposure during pregnancy wouldn’t guarantee a problem with your baby. Birth defects caused by the virus, if real, would probably be a lot rarer, and perhaps even less severe, than they have been made out to be. The numbers, without context, are startling: Since October, 4,180 Brazilian babies are said to have been born with abnormally small brains, a birth defect called microcephaly. In 2014, for comparison, the country knew of only 150 babies born with this condition. But even if Zika does increase microcephaly risk, it can’t be to blame for all of these suspected cases. Just last week, the Brazilian Health Ministry announced that it has, so far, investigated 732 of the suspected 4,180 cases and has determined only 270 of them—about 37 percent—to be real. So that scary statistic you may have heard—that 1 percent of all babies are being born with microcephaly in the worst-affected areas of Brazil—is likely a huge overestimate. Awareness of microcephaly in Brazil is also much higher than it used to be, so diagnostic rates are rising. It’s likely that microcephaly has long been under-reported in Latin America, as doctors weren’t necessarily looking for it; now that they are, cases that would have been missed are being documented, including some that are certain to have nothing to do with Zika. Indeed, many other infections circulate in Latin America that can cause microcephaly, such as syphilis, toxoplasmosis, rubella, cytomegalovirus, and some herpesviruses. Another comforting thought: Even if the microcephaly-Zika link is real, only a small proportion of babies born to infected women will likely have the condition. When the Brazilian Medical Genetics Society assembled a task force in recent months to review the recent microcephaly cases, it found that 74 percent of the mothers who gave birth to affected babies reported experiencing a rash during the first and second trimesters of their pregnancies, which suggests that it’s mainly the symptomatic infections early in pregnancy that cause problems. Yet only about 20 percent of all infections cause any symptoms. And applying what we know about the epidemiology of other infections that can infect babies via their mothers during pregnancy, such as cytomegalovirus, infections that develop after the first 12 weeks of pregnancy may not put babies at high risk, either, because the crucial stages of brain development happen early. In some cases, too, microcephaly may be diagnosable sooner than you may have heard. 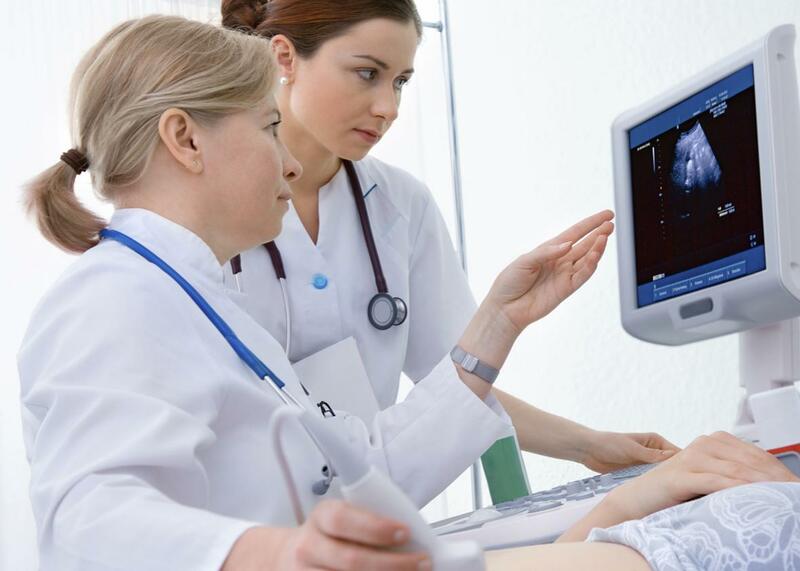 Most cases are identified after 24 weeks of pregnancy or even after birth, because detailed ultrasounds of the fetal brain, if they are done at all, don’t happen until late in pregnancy and because head size may track as normal in the first half of pregnancy. But if doctors suspect problems, they can sometimes identify serious cases earlier in pregnancy using fetal magnetic resonance imaging, a technique that looks specifically at brain structure, Mochida says. And occasionally, doctors can even identify microcephaly prior to 22 weeks using only ultrasound, which is monumental because abortion is legal in many states before the 22-week mark. It’s also an open question how, exactly, Zika-induced microcephaly might affect kids who have it. “Microcephaly is a very heterogeneous condition—it’s not a single disorder,” Mochida explains. In addition to viral infections, microcephaly can be caused by an inherited gene defect, substance abuse, toxic exposures, or malnutrition during pregnancy. But even if you only consider the type caused by viruses, prognoses vary widely. Some of the Brazilian babies with microcephaly have very serious forms of the condition, involving a significant loss of brain tissue; these kids could end up with below average intelligence, learning disabilities, and motor and speech impairment. Although some of their deficits may improve with therapy and counseling, they will never be cured. On the other hand, as many as 15 percent of children with milder forms of microcephaly have normal intelligence, and some of the Brazilian babies may end up in this camp, too. Ultimately, it’s impossible to say whether the microcephaly possibly caused by Zika will trend toward the more serious or the more mild or run the gamut in terms of severity, but the point is that not all cases are tragic. So—is Zika scary? Hell yes, if Zika does in fact cause microcephaly, if a Zika-infected mother passes it on to her fetus, and if the fetus’ development is harmed by it. Certainly, expectant women should follow the Centers for Disease Control and Prevention’s travel advisories and consider postponing scheduled trips to areas where the virus is circulating. But beyond that, if you live in the U.S., don’t panic yet. If you want a good nail-biter, watch Contagion instead.